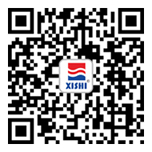 ﻿ Enterprise culture|Xishi Group Development Co., Ltd.
Bloom the beauty of stone, decorate the soul of buildings, and create a better home. Harmony: Seek harmony in diversity and joint development. Talent concept: give full scope to the talents, and enable the capable man to hold the suitable position. Quality first, Service first and Credit first. Credit first: The most effective capital is our credit, which works with us all time.